The raspberry stitch, also known as the trinity stitch, creates a gorgeous, chunky pattern that can be used for scarves, hats and other projects. The pattern may appear complex, but with a video posted by The Casting on Couch, you can see just how simple it really is. Learning this stitch will allow you to give a brand-new look to some of the items you already love to create. It may even inspire you to branch out and try new projects. Let's take a look at these simple steps to get you started. 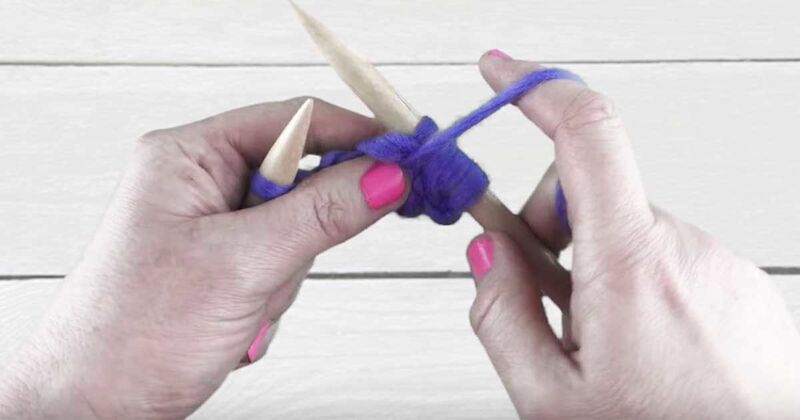 To begin, you'll need yarn (thick yarn works really well) and two knitting needles. To create a look similar to the one in the video, you'll need a 10 mm needle. Likewise, if you want the stitch to look smaller, use a smaller needle. Row 2: *p3tog, (k1, p1, k1) into the next stitch; rep from * to end. Row 3: Purl all stitches. Continue this pattern until you reach the appropriate length for your project. Keep in mind, this particular stitch is considered intermediate level and may be more difficult for first-time knitters. However, these simple instructions will definitely help guide you through the process. Check out the video for a total breakdown of each step. Happy knitting! Don't forget to share with other knitters in your life.